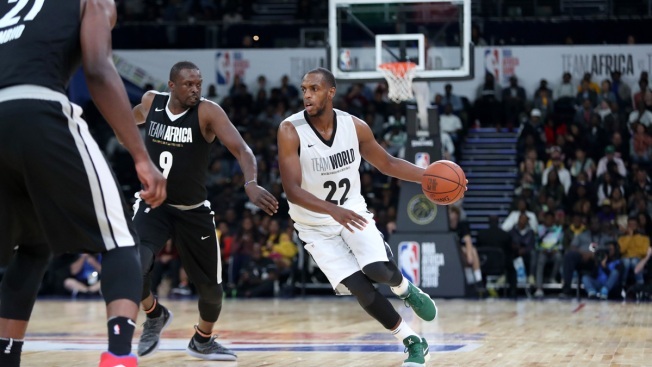 In this Aug. 4, 2018, file photo, Khris Middleton #22 of Team World handles the ball against Team Africa during the 2018 NBA Africa Game as part of the Basketball Without Borders Africa at the Time Square Sun Arena in Pretoria, South Africa. The NBA is bringing a pro league to Africa. The Basketball Africa League, a new collaboration between the NBA and the sport's global governing body FIBA, was announced Saturday, Feb. 16, 2019. The NBA is bringing a pro league to Africa. The Basketball Africa League, a new collaboration between the NBA and the sport's global governing body FIBA, was announced Saturday. The initial plan is for the 12-team league to begin play in January, and former President Barack Obama is among those who are expected to have direct involvement with the league's plan to keep growing the game in Africa through the league and other initiatives. The scope of what Obama's involvement will be remains unknown, and it's yet to be determined which existing club teams will be part of the league. Qualification tournaments will be held later this year to determine those clubs, with teams from Angola, Egypt, Kenya, Morocco, Nigeria, Rwanda, Senegal, South Africa and Tunisia expected to be among those taking part. No nation will have more than two teams in the league. "As we've been talking about this concept over the last several months, there's been a tremendous reception from many of our NBA team owners ... and in addition, several of the partners of the NBA have expressed a strong desire to work with us in Africa," Silver said. Silver said Pepsi and Nike's Jordan Brand — Charlotte owner Michael Jordan was among the owners in the room where Silver made the announcement — are among the partners who have reached out to the NBA and said they want to be part of the Africa league. Silver also said that Obama, an enormous basketball fan, has told him he wants to "be directly involved with these activities in Africa." Silver said talks between the NBA and Obama are ongoing. Obama spoke on a video that was shown during the event where Silver announced the league. "I hope you know through sport, that if you put in effort, you will be rewarded," Obama said. "I hope you learn through sport what it means to play as a team, and even if you are the best player, your job is not just to show off but your job is to make your teammates better." The NBA and FIBA's involvement will include financial support and resources toward continued growing of the game on the continent, as well as providing training for players, coaches and referees and some infrastructure for the new league. Silver said there are 438 companies in Africa that generate more than $1 billion in revenue annually, but that sport there has not seen the same growth — yet. "Africa is a huge economic engine," Silver said. "And one place, though, where we haven't seen enormous economic growth yet is in the industry of sport. And that's something that we are all particularly focused on." The NBA has held three games in Africa since 2015, all of them selling out — two games in Johannesburg, the other in Pretoria. Many of the league's current players and coaches, along with several legends and Hall of Famers, have been part of those trips. 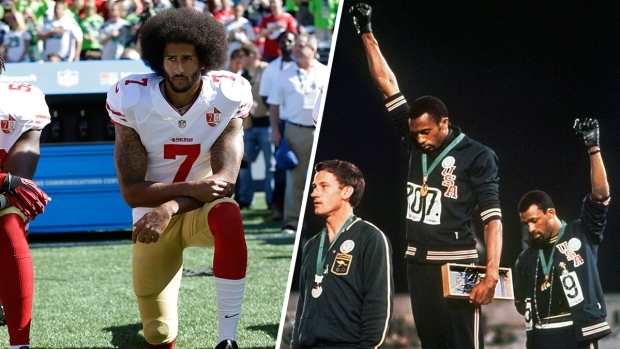 "I went with them last year," Basketball Hall of Famer Kareem Abdul-Jabbar said. "The NBA reaches out across the world." The league has an office in South Africa, has helped create 87 learn-and-play facilities in seven African nations, and 13 players who were born in Africa on opening-night NBA rosters this season. The league also built an academy in Senegal that opened nearly two years ago. "It's a huge joy to see our partnership with the NBA enter unchartered territory as we work together for the first time to maximize the potential of professional basketball in Africa," said Andreas Zagklis, FIBA's secretary general. This marks the first time the NBA has been involved with the operation of a league outside of North America. "We're excited to work closely with the NBA to develop and put in a place a professional league like none that we have ever seen in our region before," said FIBA Africa Executive Director Alphonse Bile. "Through the Basketball Africa League, we can provide the many great clubs and players with the best possible environment to compete for the highest stakes." The NBA says more details about the new league will be released in the coming months.